There were a few people who viewed my Golden Swallowtail Butterfly video asking me what is the difference between a Swallowtail Butterfly and a Monarch Butterfly? 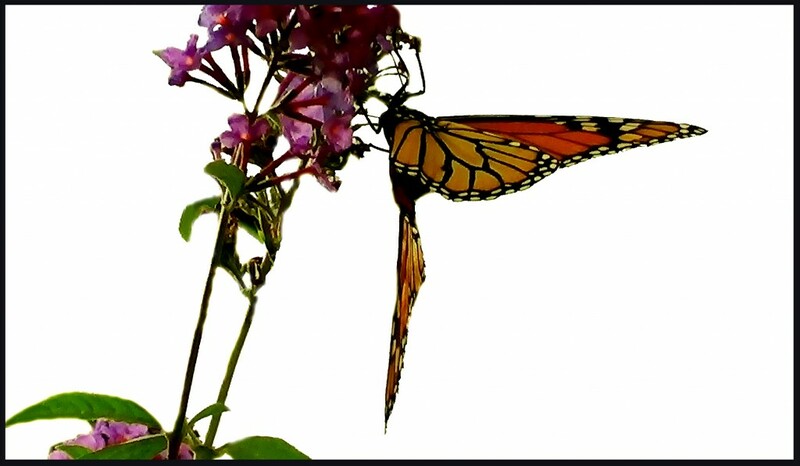 This gave me an idea to show the pictures of a Swallowtail Butterfly and a Monarch Butterfly that I captured from our backyard garden this year (2013). 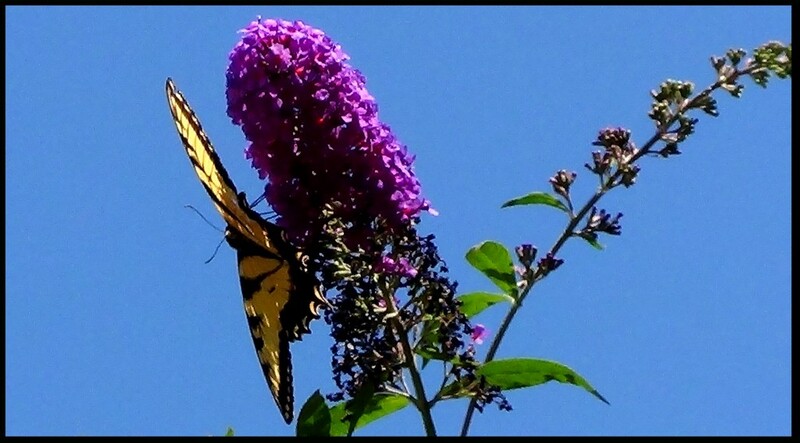 The following are some of the pictures of this Swallowtail Butterfly and the Monarch Butterfly and some short information about them from Wikipedia. The Monarch Butterfly: I captured photos of this butterfly in our backyard garden, Downtown Newark, New Jersey on Thursday, October 3, 2013. I will produce a short video to upload on YouTube soon. 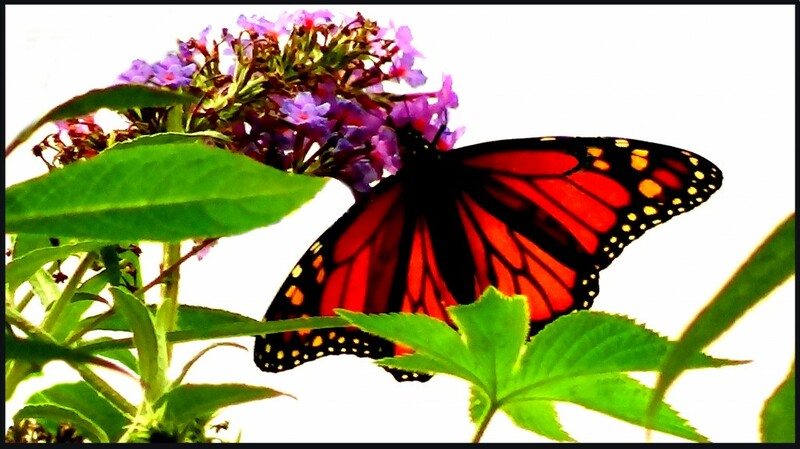 The Monarch butterfly (Danaus plexippus) is a milkweed butterfly (subfamily Danainae) in the family Nymphalidae. It is perhaps the best known of all North American butterflies. Since the 19th century, it has been found in New Zealand, and in Australia since 1871, where it is called the wanderer. It is resident in the Canary Islands, the Azores, and Madeira, and is found as an occasional migrant in Western Europe and a rare migrant in the United Kingdom. Its wings feature an easily recognizable orange and black pattern, with a wingspan of 8.9–10.2 cm (3½–4 in). (The viceroy butterfly is similar in color and pattern, but is markedly smaller, and has an extra black stripe across the hind wing.) Female monarchs have darker veins on their wings, and the males have a spot called the androconium in the center of each hind wing. 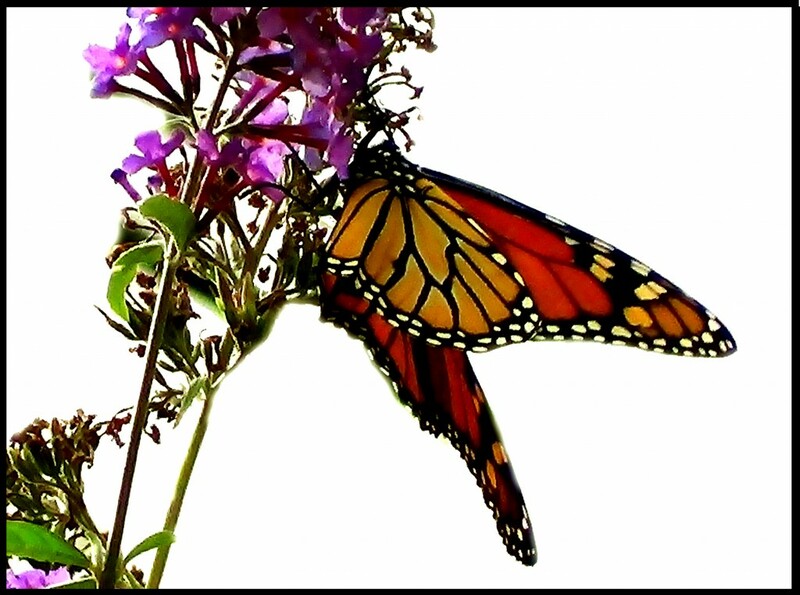 Males are also slightly larger than female monarchs. 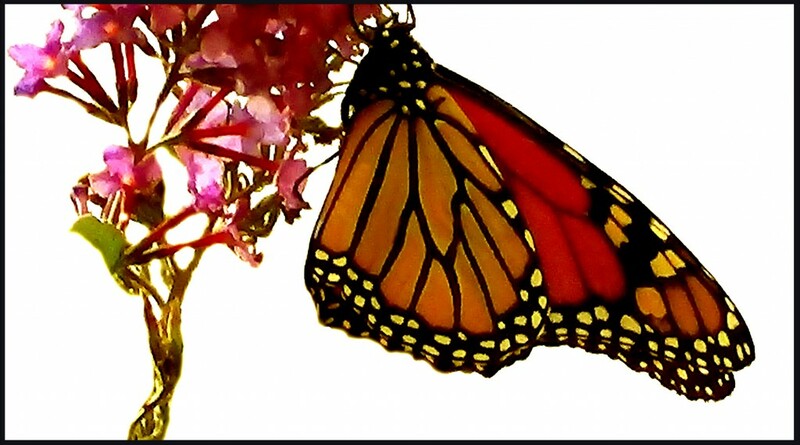 The monarch is famous for its southward late summer/autumn migration from the United States and southern Canada to Mexico and coastal California, and northward return in spring, which occurs over the lifespans of three to four generations of the butterfly. The migration route was fully determined by Canadian entomologists Fred and Norah Urquhart after a 38-year search, aided by naturalists Kenneth C. Brugger and Catalina Trail who solved the final piece of the puzzle by identifying the butterflies’ overwintering sites in Mexico. The discovery has been called the “entomological discovery of the 20th century”. An IMAX film, Flight of the Butterflies, tells the story of the long search by the Urquharts, Brugger and Trail to unlock the secret of the butterflies’ migration. 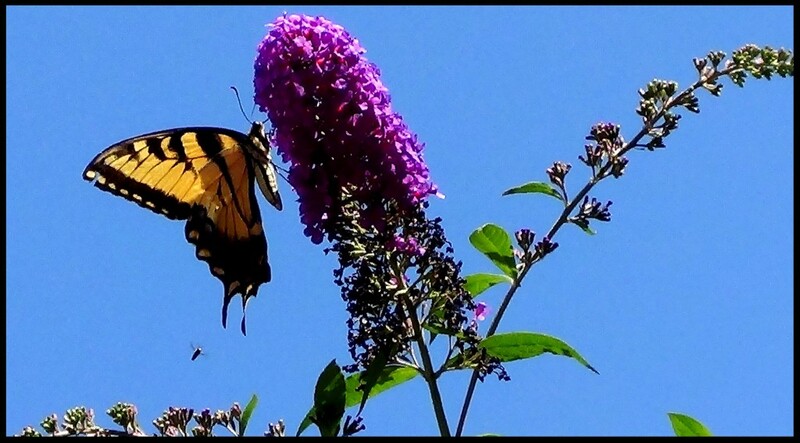 In previous years I saw quite a few Monarch butterflies stopping by our backyard garden to drink the nectar from our butterfly bush plants that we planted for the butterflies and bees. One year we were very lucky to have eight monarch butterflies come to drink the nectar at the same time but usually we saw one at a time. This year however I saw only a few Monarch butterflies. 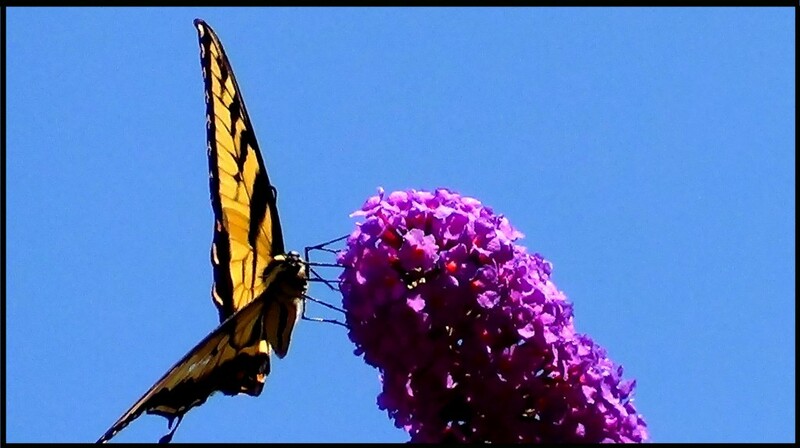 I saw a butterfly on two occasions and ran to get my camcorder from the house. When I returned both times the butterflies were gone. Lucky on Thursday, October 3, 2013 this particular Monarch butterfly stayed more than half an hour. It was difficult to capture an image because the flowers blocked the butterfly. 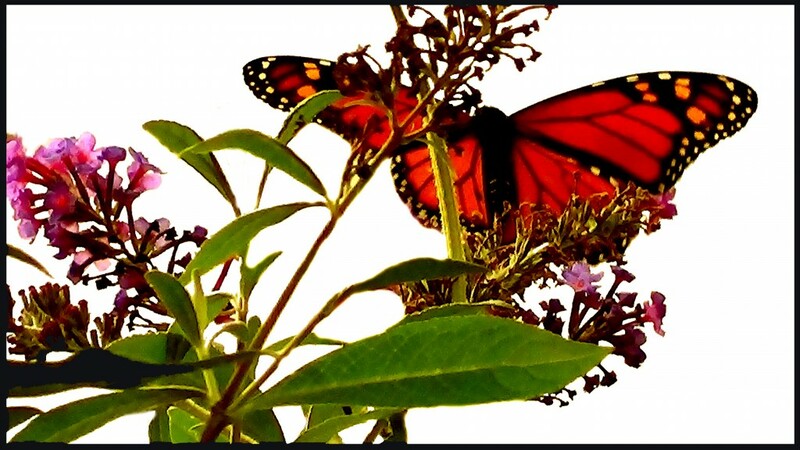 A few weeks ago NPR reported that there were much less Monarch butterflies this year. There are many reasons but one of them is that chemical companies produce seed that can yield more crops. Farmers in Iowa took more land to grow their crops. This caused less milkweed trees to be grown along the route Monarch butterflies travel. Monarch butterflies need milkweed trees to lay their eggs. Also the pesticide may cause the destruction of Monarch butterflies. I wish humans were more concerned about the conservation of our natural resources.. Humans should take some of the land for their survival and leave some for other creatures that live on earth with us. If we take all for ourselves and leave nothing for animals and plants we will cause the extinction of some animals and plants. What are we going to tell our children and future generations when they ask us why there are so few animals and plants left on earth for them to enjoy? I feel happy when I see butterflies and bees stopping by our garden to drink the nectar prolonging their lives even for a short time. Maybe people in the suburbs that have some land used for grass lawns can plant some trees that produce sweet nectar for bees and butterflies. Humans can do a lot of good things if we are concerned about conservation and preserving nature for generations to come. So let us get together spending time to do good work for everyone earth. Please do not waste time fighting with each other creating problems for millions people such as Shutting down Government (US) just to gain benefit for a small group of people or your personal career. Ing-On Vibulbhan-Watts, Tuesday, October 15, 2013, 4:43 am. 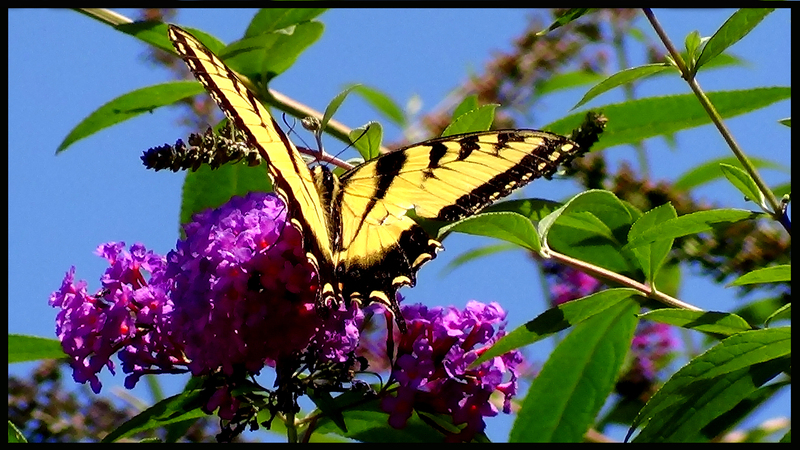 I saw about five Swallowtail Butterflies this year (2013). Usually I saw only one or none in past years. 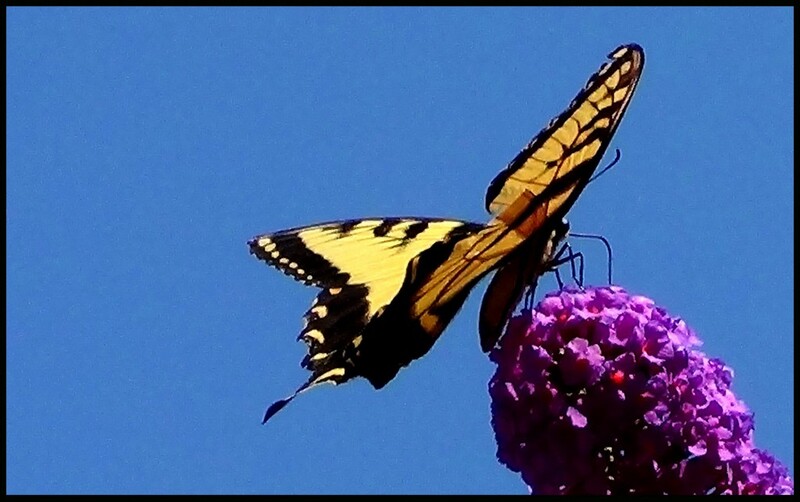 Several Swallowtail Butterflies lost one of their tails and some lost both of their tails. 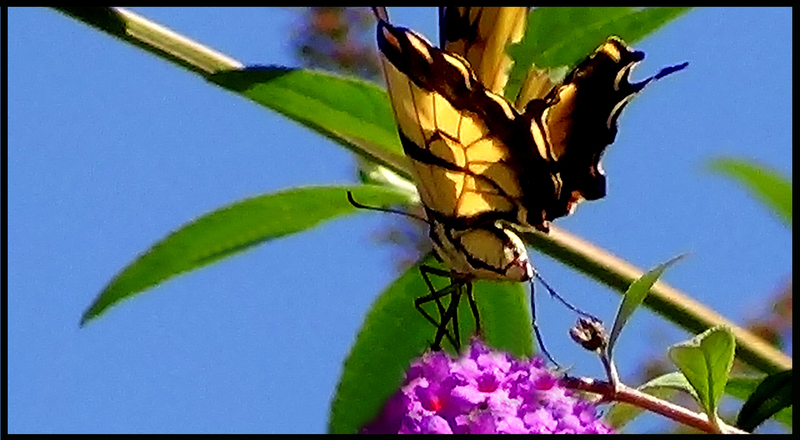 I was lucky to see this Swallowtail Butterfly that I captured on my camcorder. It had two perfect tails but one wing was broken. I imagine that this Swallowtail Butterfly probably came from far away and probably was very thirsty. I am happy to be able to contribute my time cultivating my garden for butterflies and other animals enabling them to stop by and have some nutrition to nourish them along the way to their destination. 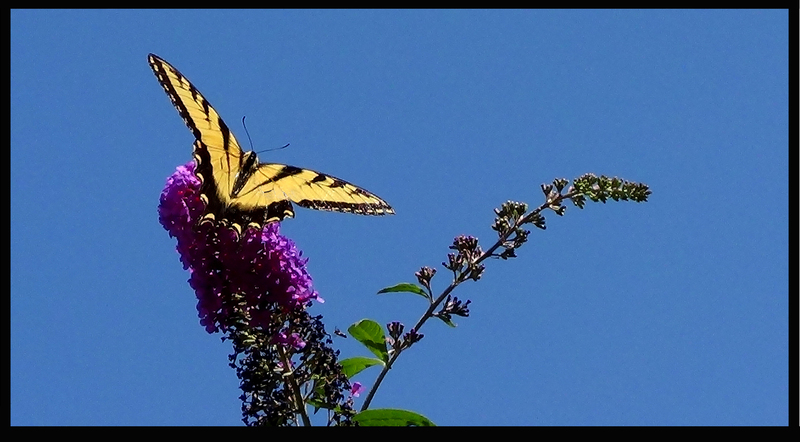 If you would like to learn more about Swallowtail and Monarch Butterflies please visit the link below.